The Human Design Medical Z2 CPAP Machine is a single pressure device ideal for road warriors, campers, frequent flyers or anyone looking to take their therapy off-the-grid. It's the same size and weight as the Z1 CPAP, and has a quieter motor. To further dampen the sound, the manufacturer is including a FREE Q-Tube CPAP Muffler to further reduce ambient noise from the device. 30-Day Money Back Guarantee! If for any reason you're unsatisfied, return it for a full refund. Manufactured by Human Design Medical. The Human Design Medical Z2 CPAP Machine will deliver therapy at a single pressure directed by your doctor. Looking for the version capable of automatically adjusting therapy pressure? 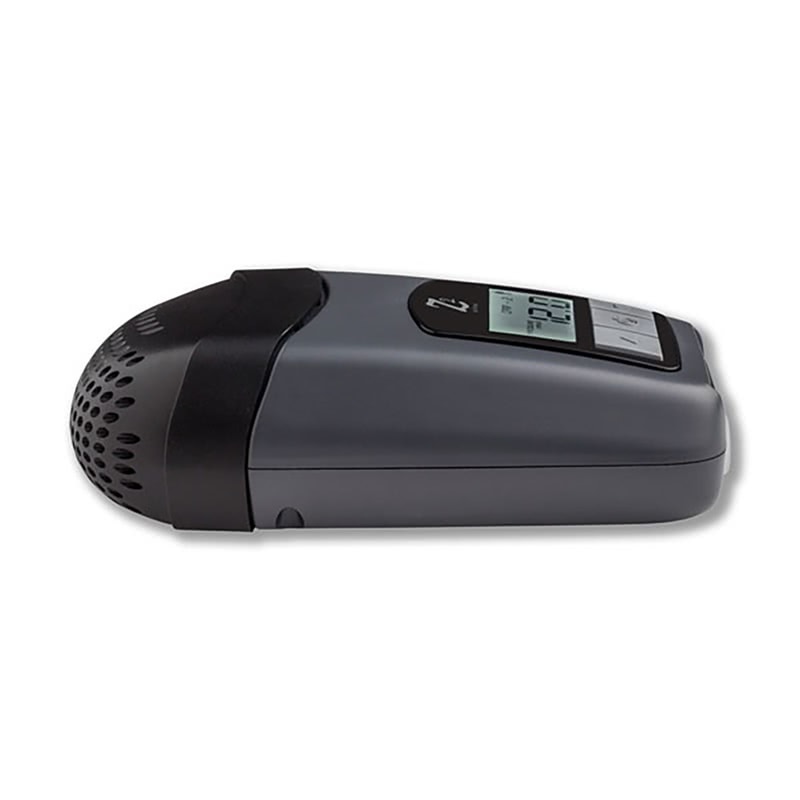 Visit our page for the HDM Z2 Auto CPAP and find more information there. The Z2 CPAP is also compatible with the OPTIONAL PowerShell Battery, allowing you to use the machine even when not connected to an outlet. The PowerShell Battery is the same battery used by the Z1, and if you already have one, you're in luck! 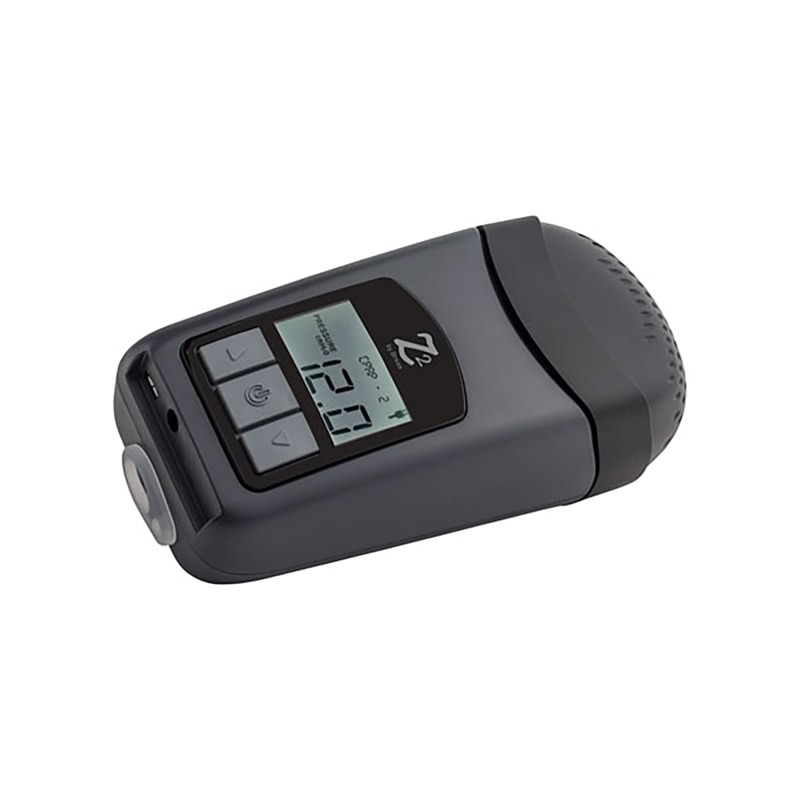 The Z2 features a quieter motor than the Z1 CPAP and has a noise output of 26 decibels. 26 decibels is about as quiet as a whisper. The manufacturer is including the Q-Tube CPAP Muffler for free with purchase, to help further dampen the noise from the machine. One of the Smallest CPAP Machines Today! Weighing in at just 10.4 ounces (.65 pounds), the Z2 CPAP can fit comfortably in the palm of your hand. The featherlight construction allows you to lift and carry the machine easily as you go on your next adventure. It's also one of the lightest and most portable CPAP machines on the market today. Z-Breathe Pressure Relief helps make it easier to exhale and is a comfort feature programmed into the Z2. This can help make it less strenuous to exhale and can help you stay asleep. The Z2 is also smart enough to tell when you're done with your therapy, and will automatically turn off without needing to do any other steps. For your next trip, leave the distilled water at home! 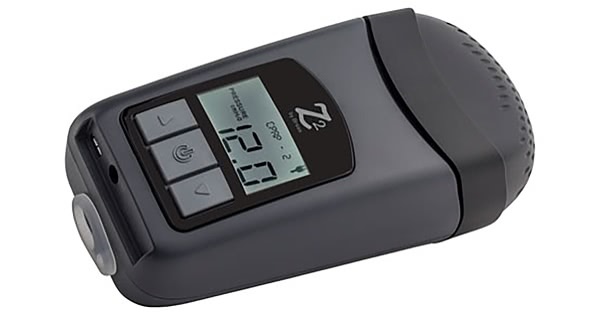 The Z2 CPAP uses a Heat Moisture Exchange unit to retain and reuse moisture from a person's breath to keep the throat and nasal passages from drying out. The HME unit mentioned here is a good alternative to water-based humidification, helping make the Z2 easier to transport with less mess! The Z2 can connect via Bluetooth to your cellular or mobile device, and you can view the results of your therapy with the Nitelog App. You can also connect the Z2 directly to your Windows computer using a USB connection and analyze your therapy data with software. This will provide valuable data about your sleep, allowing you to work with your doctor and make adjustments as needed. The Z2 CPAP Machine uses the Z1 PowerShell Battery enabling you to take your therapy on the road or off-grid. This is the same battery used by the Z1, so you're in good shape if you already have one. The battery is FAA compliant allowing you to take it on a plane. No matter where you go, you'll be able to take your treatment with you! Can it Be Used with Oxygen? Not for use with oxygen. It's possible to connect the Z2 to a Windows PC directly, by simply plugging the unit directly in by using a USB 2.0 or 3.0 cable. A cable is included with the Z2 for this purpose. You can transfer the data to your home computer and analyze the data with software. This feature is not available for Mac users. To avoid damaging the silicone gasket connection, please very gently remove the tube adapter from the machine, and avoid using excessive force. Please be advised, the HME Waterless Humidification is compatible with every mask except for masks having short tubes. The system works by retaining moisture from a person's breath, and in order to do this, it needs to be close to a person's face. Short tubes designs position the HME too far away from the face to be effective. Please remember to connect the Z2 Battery to the PowerShell for charging, so you will be able to see the charge level indicator, shown on the LCD screen of the Z2. Battery run times will be impacted by factors such as altitude and pressure setting, with higher settings draining the battery faster than lower settings. When the machine and battery are plugged in together, the display on the machine will display a charge indicator showing charging progress. The Z2 CPAP is not designed for use with supplemental oxygen. Attempting to use with oxygen can cause injury or loss. The Z2 CPAP is compatible with the existing Z1 PowerShell Battery. Anyone who currently owns the PowerShell battery will be able to use it with the Z2. The PowerShell Battery is designed to power the Z2 for approximately 8 hours, depending on the machine settings. Higher pressures will mean lower runtimes. Higher altitudes can also cause the machine to work harder, further draining the battery, so please consider this when planning your next trip. The PowerShell can also be used as a battery backup, powering the Z2 in the event outlet power becomes disconnected. The battery backup can be helpful during storm season when power outages are more common. The Z1 is also compatible with the Freedom Travel Battery. The Freedom Battery battery can power the Z2, provided you use a 150 Watt Sine Wave Inverter. The inverter converts the DC power supplied by the Freedom into AC power. You would then plug the Z2 into the outlet the same way you would at home. Keep in mind, the inverter will draw power from the battery (in addition to the machine, too). This will decrease battery runtimes, meaning you won't get the same output from the Freedom as you would if you were able to connect directly.